“A miracle of musicality, original, spontaneous, always free.” (Süddeutsche Zeitung). At only 16 years of age, Dutch violinist Noa Wildschut has already gained her place on the international classical music stage. “A miracle of musicality, original, spontaneous, always free.” (Süddeutsche Zeitung). At only 16 years of age, Dutch violinist Noa Wildschut has already gained her place on the international classical music stage. At the age of six she appeared live on Dutch television for the 'Kinderprinsengrachtconcert 2007' in Amsterdam; aged seven she made her debut in the main hall of Amsterdam’s Concertgebouw at the 'Night of the Promising', and in September 2016 became an exclusive recording artist for Warner Classics. Her first recording, an all-Mozart album, was released in September 2017. Highlights of the current season include her debuts with Netherlands Radio Philharmonic Orchestra, Pittsburgh Symphony Orchestra and Manfred Honeck, Heidelberger Philharmoniker with Elim Chan and Münchner Symphoniker. She will perform with the Netherlands Philharmonic Orchestra as part of the Robeco Series at Amsterdam’s Concertgebouw and will be on tour with the South Netherlands Philharmonic. She has been invited to perform duo recitals with Lauma Skride at Philharmonie Haarlem and in Polling. Over the years, Noa Wildschut has built up a considerable reputation and is regularly invited to festivals for recitals and solo performances with orchestras, both at home and abroad. She has played with inspiring musicians such as Anne-Sophie Mutter, who described Noa as “undoubtedly one of the musical hopes of her generation”, as well as with Janine Jansen, Menahem Pressler and Quirine Viersen. She has appeared with orchestras such as Rotterdam Philharmonic Orchestra, Residentie Orchestra, Amsterdam Concertgebouw Chamber Orchestra, Kremerata Baltica, Konzerthausorchester Berlin and Luzerner Sinfonieorchester. 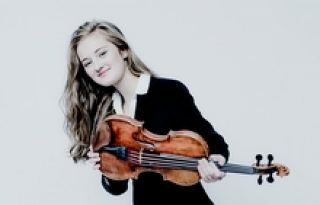 At an early age, Noa Wildschut had already won numerous awards, including 1st Prize at the International Violin Competition Louis Spohr in Weimar, 1st Prize at the Iordens Violin Competition in The Hague and the Concertgebouw Young Talent Award 2013. She took part in masterclasses with Jaap van Zweden, Menahem Pressler, Frank Peter Zimmerman, Anner Bijlsma and Liviu Prunaru. 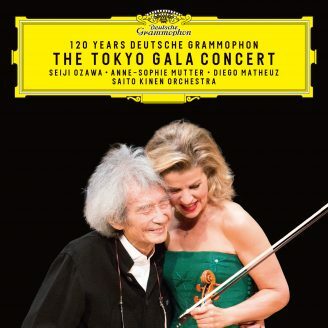 Since 2015 she has held an official stipend with the Anne-Sophie Mutter Foundation – its youngest ever member. In 2018 she will play a key role at the festival in Leeuwarden, European Capital of Culture 2018. As part of this international event, she will have a carte blanche series called 'Noa's choice' during the Oranjewoud Festival, a festival that has been officially selected for the creativity of its classical music programming. Noa Wildschut plays a 1714 Giovanni Grancino violin kindly made available to her by the Dutch Musical Instruments Foundation. Her bow was custom made by bowmaker Benoît Rolland, commissioned by the Anne-Sophie Mutter Foundation. Noa Wildschut continues to study with Vera Beths at Amsterdam University of the Arts.